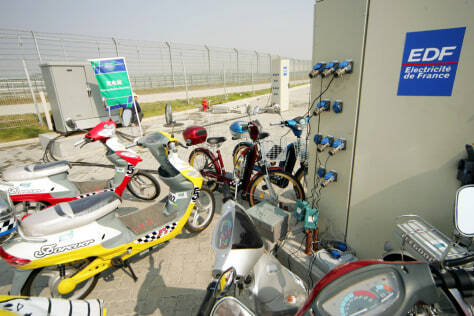 Chinese-made electric scooters and bikes get recharged at the 2004 Challenge Bibendum, a green vehicle rally for carmakers. The event was held in Shanghai last October. The recharging station was provided by EDF, France's electric utility company.